Hackers inspired by popular TV show ‘Breaking Bad’ are targeting computers across Australia and encrypting files. They are ordering victims to pay ransoms to ‘free’ their data or lose their info forever. The new malware – or rather ransomware it’s called – encrypts images, videos, documents and other data on affected computers and then demands a ransom of $1,000 Australian dollars (around US$791) for the information to be decrypted. Symantec company, which discovered the threat and called it ‘Trojan.Cryptolocker.S’, said that the hackers turned to a Breaking Bad theme in their ransom demands. They used the logo of the fictional ‘Los Pollos Hermanos’ fast food chain to inform the victims that their data will be lost forever if they don’t pay up. 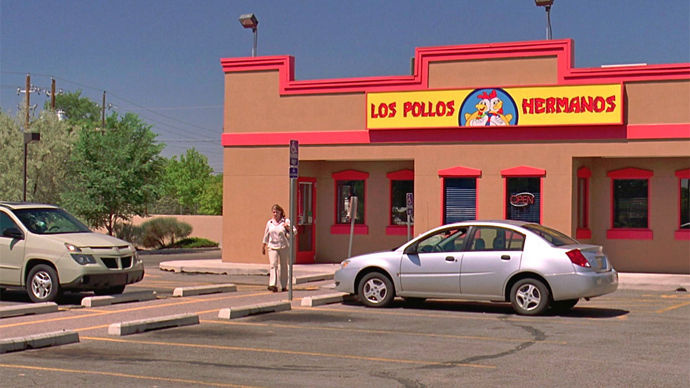 In Breaking Bad, ‘Los Pollos Hermanos’ was employed as a cover up by drug lord , Gustavo Fring, to sell crystal meth, cooked by the show’s main character, Walter White. According to Symantec, the malware applies social engineering techniques and arrives on the victim’s computers through a malicious zip archive, which includes a name of a well-known delivery service firm in its file name. The ransom demand also contains a link to instructions on obtaining crypto currency Bitcoin in order to “simplify as much as possible” the payment of the ransom for the owners of the infected computers. Ransomware has recently become a growing cyber security concern, with the FBI highlighting its “devastating” effects this January. The perpetrators have found new ways to get distribute malware – simply visiting a compromised website can now get a computer infected. Previously, ransomware required users to open malicious attachments in order for them to be attacked by the virus. Bitcoin and other anonymous digital currencies also contributed to the problem, making it easier for the hackers to get payments from the victims, the FBI added.